BUPA UK has launched “For Owning The Dance Floor”, a commercial for Bupa Health Insurance commercial promoting the “For Living” concept, helping people get the most out of everyday life. 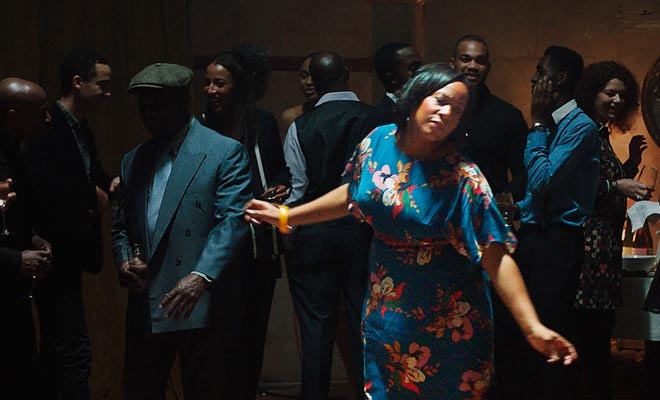 Actress Suzann McLean plays a recovered cancer patient dancing to 1967 soul classic Pain in my Heart as she realises she has beaten the disease for good. Shot in one continuous take, we witness the change that occurs within her as she leaves her illness behind and returns to the joy of the dance floor. “For Living” is about staying well and feeling your best, as well as having access to the very best care and treatment at the times when it is most needed. The For Owning The Dance Floor commercial was developed at WCRS by executive creative directors Billy Faithfull, Ross Neil and Leon Jaume, creative director Joe Miller, copywriter Dan Gorlov, art director Richard Glendenning, agency producer Stefanie Forbes, integrated project manager Mark Lambourne, production assistant Camilla Hempleman-Adams, planners Matt Willifer and Hayley Pardoe, account team Matt Edwards, Chris Boyton, Chris Moger, Charlie Warner working with BUPA marketing team Angelique Waker, Cheryl Rosenthal, Shannon Faley-Martin. Director Martin de Thurah via Academy Films with director of photography Niels Thastum, executive producer Simon Cooper, producer Cathy Green and editor Peter Brandt. Post-production was done at Electric Theatre Collective. Sound designed by Aaron Reynolds at Wave Studios. Music is “Pain in my heart”, performed by Helene Smith.